Event Info: Location to be announced. Parking fee is $10.00 with VIP options for $15.00 to park close to the action and starting line. Spectators are free. Check in starts at 8:00am sharp Please bring your filled out waiver and ID to check in. Please arrive one hour before your scheduled wave time is to start. 1st wave starts at 9:00am for 5k competitive runners only. All 5k waves run every 30 minutes. Maximum number of participants per wave is 100. Please leave all personal belongings locked in your car and we have a key check at the check in tent so you don't loose your keys on the course. After your turn on the course you can shower off the mud and changing tents are onsite. 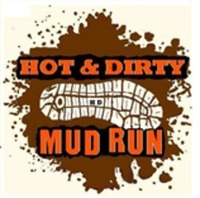 Please bring a towel, change of clothes, extra shoes and a plastic bag for your muddy clothes. Then join the after party with music, food, beer and our vendors fair. Socialize with hundreds of other mudders in the festival area.